>>Marinara - The staple that brings it all together. An authentic family recipe passed down for generations. >>Vodka Riggie - A Utica classic. >>Piggie Riggie - If you love our Chicken Riggie Sauce, you'll love this version with pork. 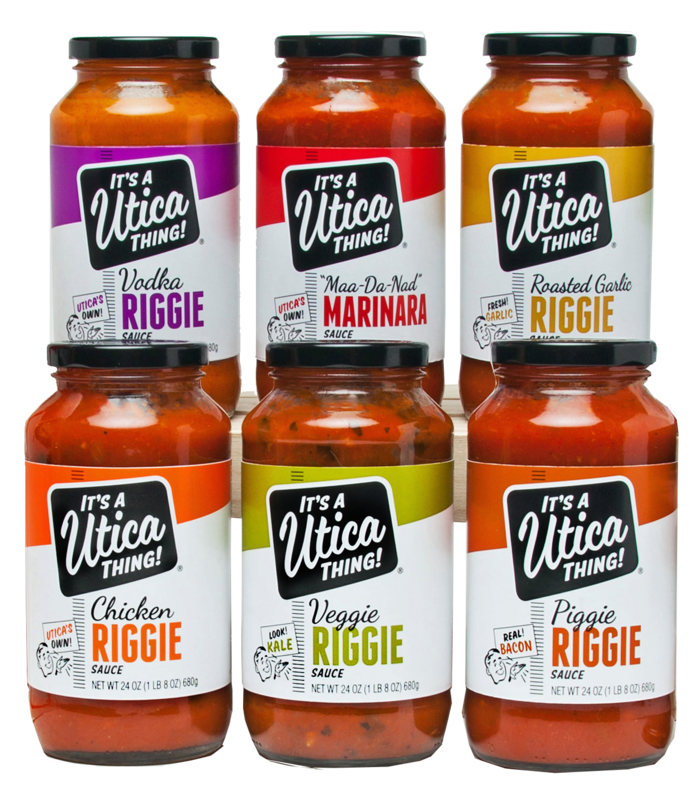 >>Chicken Riggie - Follow the simple instructions on the bottle and it will be like dinner in Utica! >>Veggie Riggie - All the flavor of our Chicken Riggie Sauce, without the meat. >>Roasted Garlic Riggie - An absolute delicious take on our Riggie Sauce.